Raaga.com: Mithun Chakraborty Was Above To Sell His National Award Medal To Satisfy His Hunger!!! Mithun Chakraborty Was Above To Sell His National Award Medal To Satisfy His Hunger!!! In our last issue we read how Mithun Chakraborty from a Naxalite took to acting. But his journey after graduating from prestigious FTII (Film and Television Institute of India) was arduous packed with untold miseries and starving days that he spent during his struggling phase in Mumbai. 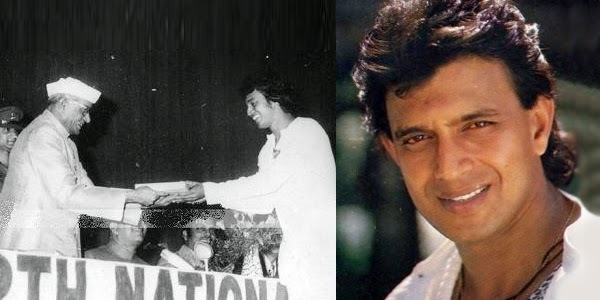 Though Mithun Chakraborty began his career on a high note winning the Best Actor National Award for Mrinal Sen’s movie MRIGAYAA (1976), he had to struggle tooth and nail in Bollywood to acquire stardom. 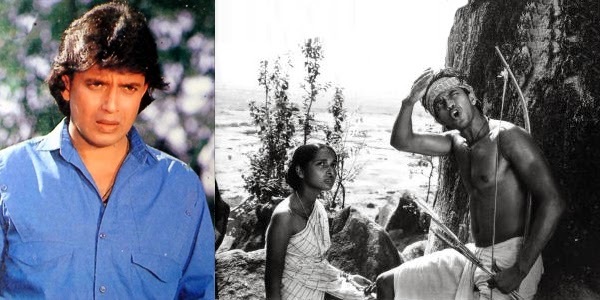 Despite a National Award and the tag of FTII graduate, readers would be astounded to know that Mithun had to play extras role in movies to make a living in Mumbai. In Amitabh Bachchan’s first movie with Rekha, DO ANJAANE, Mithun can be seen in a minuscule scene. In fact a time had come when Mithun Chakraborty was above to sell his National Award medal to satisfy his days of hunger!!! An interesting anecdote from Mithun’s early life will reflect how difficult it had become for Mithun to survive in Mumbai. According to senior journalist from a famous film magazine, he was assigned to interview Mithun Da after he had won the esteemed Nation Award for MRIGAYAA. The journalist had a hard time locating Mithun Da because he was not available at the address as he was busy hunting Mumbai studios searching work. Eventually the journalist happened to trace a pale and weary young man at a studio in Mumbai. On enquiry the journalist found the young man was none other but a struggling actor called Mithun Chakraborty. Excited the journalist introduced himself to Mithun Da and asked him for an interview. Exhausted and starved Mithun Da agreed to give the interview, only on the condition, if the journalist fed him a meal! The journalist took him to a hotel and only after an appetizing meal Mithun Da gave him the interview!! After a struggle of over two years in Mumbai, Mithun hit stardom with Surakshaa, (197) in which he played the role of spy G-9, the Indian version of James Bond 007. Mithun’s martial arts training helped him in a big way in this movie. Later he did many movies of this like WARDAAT, SAHHAS etc. However it was with DISCO DANCER and his association with Bappi Lahari that made Mithun Da immortal. Remember KASAM PAIDA KARNE WALE KI, PYARI BEHNA, DILWAALA, DANCE DANCE etc.